This is a long story…that can be explained in this post only a little. Along with our students, it can lead us to many places! Let’s start from the very beginning. k d lang (she writes her name in lower case, just like e e cummings : ) is a Canadian singer, with a golden voice, and my absolute favourite female performer. Her song Constant Craving is one of my all-time favourites. I just love the instruments used (especially the accordion is haunting and beautiful), the lyrics are amazing and k d’s voice spectacular. The other day, I was listening to the song (again) and paying much closer attention to the video, which I have seen more times than I remember…and it hit me. I looked at the characters…they reminded me of something. Are the men in the theater where k d is, playing in Waiting for Godot? I did that play in university, in my very first year in a class called Introduction to Drama. I loved that play so much, that it became the main topic of a paper I wrote then. I checked the story behind the video, and it really is k d in a theater, where this play is being performed! Can I use her song AND the play in class? Sure – I can try! Here is how I am thinking of using it – let me know if you have any different ideas! I am positive that my students will take me to other places that I had never imagined before, so this is just a rough idea. I am thinking of using it with B2 / C1 / C2 level students, because some of the vocabulary and themes can be a bit challenging for lower levels. So then for my classes, it will be mainly teens and adult students. What does to crave mean? I will let them listen to the song and watch the video then. What is the singer doing? What do you think her feelings are and why? Where is she? Why do you think so? What are the people in the theater doing: The audience? The people on stage? Then I will give them the lyrics. You can see them and the activities in a document called ConstantCraving_LessonPlan and feel free to do anything you like with it, change it, create it from the beginning, anything! We can go through the lyrics one by one and discuss, thoughts that come to our minds, feelings, anything. They can choose a word or phrase that strikes them and write a small poem or short story. Here is my favourite live performance of the song, for your pleasure – happy listening! Waiting for Godot will be the next post – Part 2! Stay tuned. As I have mentioned in other blog posts, I love teaching with songs – and students love it too, even if they have never heard the specific songs before! I must admit that very often I use songs I personally love – and today’s is one of them. Sting is one of my favourite artists and the particular song is super too, I think. I have also realised that I have a lot of lesson plans with songs and I will share them more often in the future! The song I have chosen and have used with my students in Greece and now here in Switzerland is If I Ever Lose My Faith in You. Depending on the context and country, it could be slightly controversial – but the activities I have created are pretty neutral. I hope you enjoy them and if you have more ideas, feel free to share in the comments! I love using different kinds of texts in my lessons, I have mentioned poetry and literature before – so now I will share with you a lesson plan I made about five years ago, using the song Clocks by British band Coldplay (which is also one of my favourite songs by them). These are the tasks I used with them and usually one thing leads to another and might not even be on the lesson plan, which makes things even more interesting! It is fantastic to see what the students come up with every time. As with poetry, each person perceives things differently – it gives rise to amazing discussions and excellent language circulates in the classroom! 2. Why do you think the lights go out and he is swimming against tides? What do these symbolise? 3. Who do you think the you is when the singer says you are? Use your imagination to think what that person is and why the singer does not complete the sentence. 5. What do these words symbolise in your opinion, and what feelings do they render? The things you can do in class with songs are countless. If you have any other ideas to add, please feel free to do so! 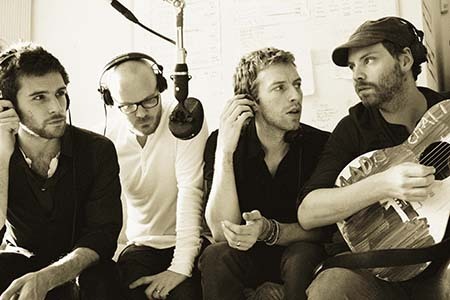 Here are the lesson ideas in a Word document: Clocks by Coldplay. Let me know how they worked, should you use them!